The House General, Housing and Military Affairs Committee debates a lottery-liquor merger Thursday. A House committee voted Thursday to reject Gov. Phil Scott’s executive order that would merge the state Lottery Commission and the Department of Liquor Control. The House General, Housing and Military Affairs Committee isn’t opposed to the merger but objected to having no control over how it would happen, said chair Helen Head (D-South Burlington). Under the executive order process, legislators had a choice to either accept Scott’s plan as is, or not — but not to alter the plan. 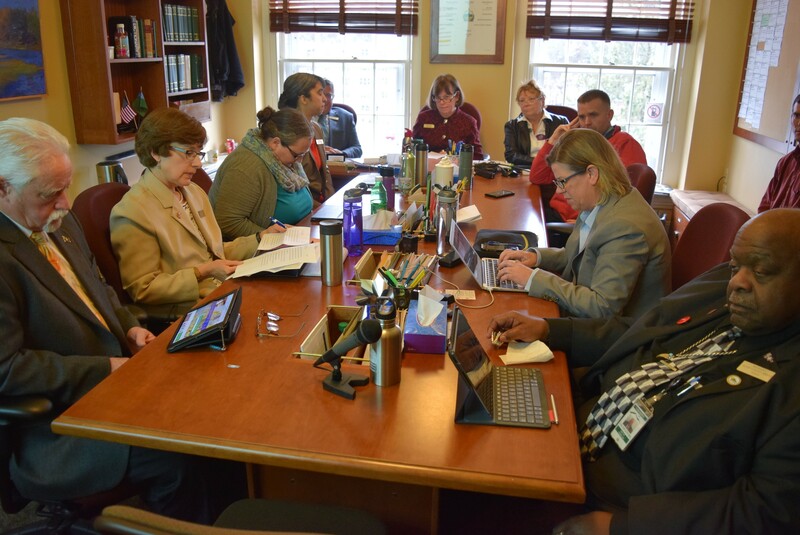 Head’s committee is considering legislation that would create a working group to report back by January on how the two entities could be merged. The panel delayed action on that Thursday. The committee voted 6-4 to reject the executive order, with the full House expected to follow suit next week. The legislature has until April 14 for either the full House or Senate to act on the order. Otherwise, it would automatically take effect April 17. Scott expressed disappointment. "I don't know why they wouldn't [approve it]," he said. A merger would combine the state's two smallest departments, and Scott had proposed they could share warehouse space and marketing. Under wording included in the budget bill that the House passed last week, Scott could still merge any state agencies. That sweeping power was intended to help the governor save $1.5 million in administrative costs, said Appropriations Committee chair Kitty Toll (D-Danville). Toll said Thursday that discussions are under way with the Senate to add restrictions to that in its version of the budget bill. She said concerns arose that the legislature would have no input on the changes. If Scott’s liquor-lottery executive order is rejected, it will be the second order to go down in defeat. Earlier this year, the Senate voted down Scott’s plan to merge the Labor Department and Agency of Commerce and Community Development. A third order, to consolidate all state information technology functions into one Agency of Digital Services, is still pending. If Scott had proposed the liquor-lottery merger through traditional legislation rather than executive order, legislators might have been more accepting, Head said. Under the executive order, legislators would have no say in staffing or policies of the new department, she said. “We can’t change it. It’s this way or the highway,” said committee vice chair Tom Stevens (D-Waterbury). Stevens, who last biennium sponsored legislation to merge liquor and lottery, said the Republican governor used the executive order seeking a political “win” by excluding the Democratic-controlled legislature from the details. “If they were out for policy, they would have included us,” he said. Scott said Thursday that he would go along with legislation in lieu of the executive order only if it mandated the merger within a certain timeframe. The legislation Head’s committee is considering leaves the decision whether and when to merge up to the working group. Scott argued that the merger would save $2 million to $4 million a year. Head said the governor's staff did not provide details of how those savings would be achieved.